The images in the gallery are optimized to resize according to the screen size thus increasing the page load time. If your blog is focused on cooking, photography or any other niche which need to feature lots of images. You can see a live demo of Vestro below. 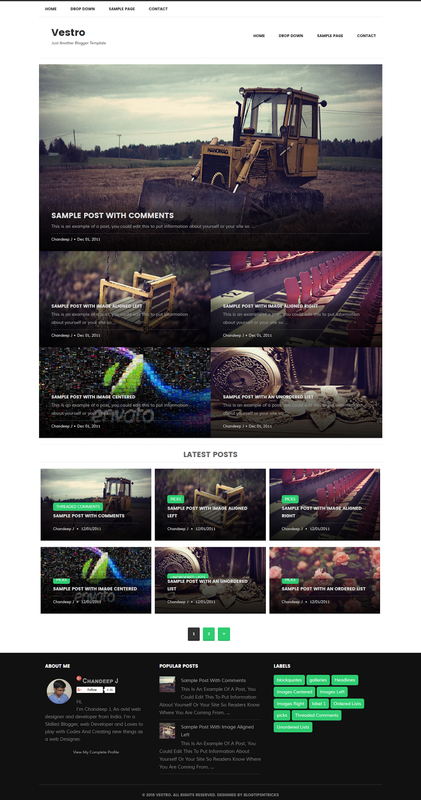 Go to the layout page and click edit button on the featured post layout. Now Type the name of the label you want to feature in the widget content area and click save button. That's all. Note:- Label Names are case sensitive. After that Add you widget code to show widgets after post. The feed ID for your feed can be found at the end of your feed URL. For example our feedburner URL is http://feeds.feedburner.com/chandeepsblogtips, with chandeepsblogtips as the feed ID. After that you'll find http://i1203.photobucket.com/albums/bb382/chandeep10/blogger-logo.png and replace it with your profile pic url. Then search for AUTHOR-BIO-HERE and replace it with your info/bio. WOW! You made it again, a great theme! 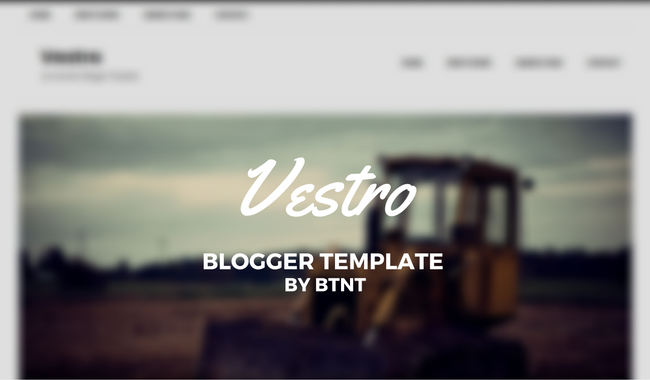 Good template.... would you like to share with us that how you made blogger template... which software..? Nice template, I like the interface and its simplicity! I would like to use it on W3HowTo Blog after checking its loading time. what a nice and wonderful template.